It isn’t meant to be like this. The credits are supposed to roll with your hero on top. In July, draped in the tricolore of his country and stood all in gold, arms aloft with the World Cup trophy in hand, Hugo Lloris had reached the glorious pinnacle of his own epic narrative. But this is real life, the credits did not roll, and so we have all witnessed what happens on the other side of Lloris’ crowning glory. 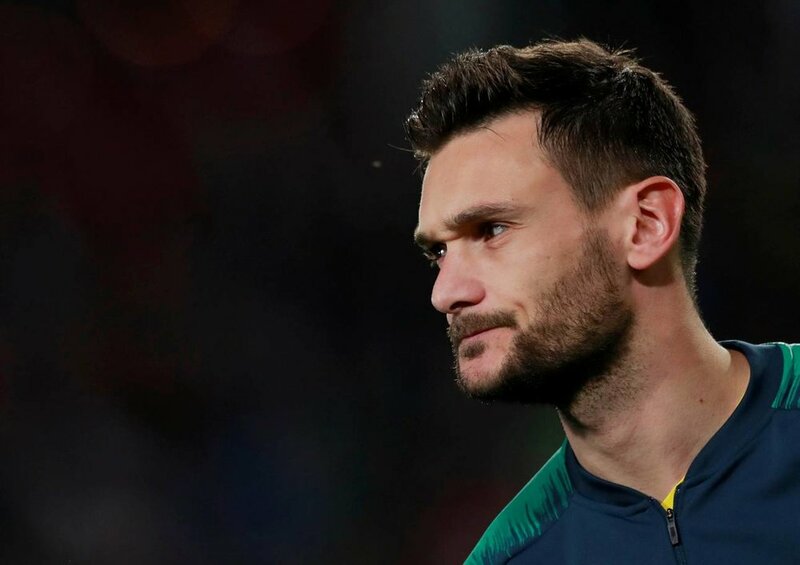 In truth, Lloris’ comedown had begun long before his moment of triumph – even that World Cup victory was ever-so-slightly smeared by his own mistake. It was ultimately inconsequential, but it was another symptom of a pattern of behaviour that has become frequent in the last eighteen months. However, that was easily forgiven and pushed to the background in the wake of Lloris captaining France to the peak of his sport. Reality would soon force its way back into the field of vision though, and it came in an unexpected form. The goodwill surrounding Tottenham’s admirable leader was irreversibly damaged by the drink-driving charge held against him in August. It felt like a betrayal of the character we had come to know over the last six years. How could someone we had thought was our club’s most responsible representative act with such reckless selfishness? Every future action would be viewed through a different lens than before, voluntarily or not. The noble image Lloris had sculpted over those six years was no longer there to balance out the increasing lapses in judgement that were appearing on the pitch. When you invest in someone and they let you down so dramatically, it is hard to continue defending them. Lloris’ reputation barely survived his rash error against Barcelona; he was lucky enough to be overshadowed by Lionel Messi’s greatness. On Wednesday night in Eindhoven, it felt like things had finally reached a breaking point. Toby Alderweireld had already made an embarrassing and costly error, but the response had been impressive. Christian Eriksen’s role in PSV’s late equaliser was baffling too, but he had been the key figure in Tottenham’s fightback. What made Lloris’ error stand out was the sheer stupidity involved. His venture from his penalty area was entirely unnecessary, his tackle reckless, the consequences unforgivable. Off the back of losing so much trust with the combination of his on-pitch and off-pitch miscalculations, this felt like a point of no return. My own anger spilled out verbally and on social media, as did that of many others. The level of targeted rage at a player for one game-defining moment is rare at Tottenham these days. Roberto Soldado’s doomed pass away to Fiorentina, or Emmanuel Adebayor and Paulinho’s cowardice in the wall at West Ham come to mind. I so do not want to feel this way about Hugo. He is comfortably the best goalkeeper the club has had in my lifetime. After his retirement, he will surely be debated alongside Pat Jennings as our greatest ever. For my generation, with Ledley King, he is our Tottenham captain. The willingness to stand by him through his mistakes was well-earned. In the darkest moments of 2013-14, when the club seemed to have lost any direction and identity, Lloris continually came to the rescue of the shambolic defence in front of him. His reflexes were eye-catching, his quickness off his line revolutionary. At the time, he was a keeper like no other in the Premier League and could justifiably be argued as the best in the division. His quiet leadership elevated him further. Thoughtful and thought-provoking in interviews, and the perfect example for a young squad to learn from as Mauricio Pochettino began to change the fabric of the club. Lloris knew better than most what the fans had been through, standing right there in front of the Park Lane and Paxton with them. He could see the growth like we could, and he would be the most deserving captain to lift a trophy to mark this journey, if only it would come. That is why the image of Lloris lifting the World Cup felt so personal to Spurs fans, even if he wore a different cockerel on his chest. It was a victory so earned – vindication for his dignified excellence that we had watched first-hand. And yet, it is no longer enough. Lloris is not the revolutionary anymore – the rapid progression in the identity of goalkeepers has already left him behind. At 31, there is little sign of Lloris adopting Ederson or Alisson’s level of comfort with the ball at his feet. The astonishing reflexes are still there, but the decision-making that was so key to the Frenchman’s unique brand of goalkeeping has disintegrated. He is not missing challenges by inches, he is missing them by metres. The drink driving shame accelerated the declining confidence in Lloris. The mistakes in the Champions League have eroded the little that was left. You want your heroes to stay invincible forever. You want the story to end with them at the summit, glorious in victory, or at the very least proud in defeat. In reality, you learn they are vulnerable to change like the rest of us, and they reveal that they cannot always be that person you want them to be. And you have to move on.